EO ClimLab is a collaborative research environment that enables rapid development and prototyping of new Earth Observation (EO) based products, aiming to support the adaptation and mitigation of climate change impacts in multi-disciplinary approaches related to business and society (agriculture, health, risk management, infrastructure maintenance, education, dissemination). 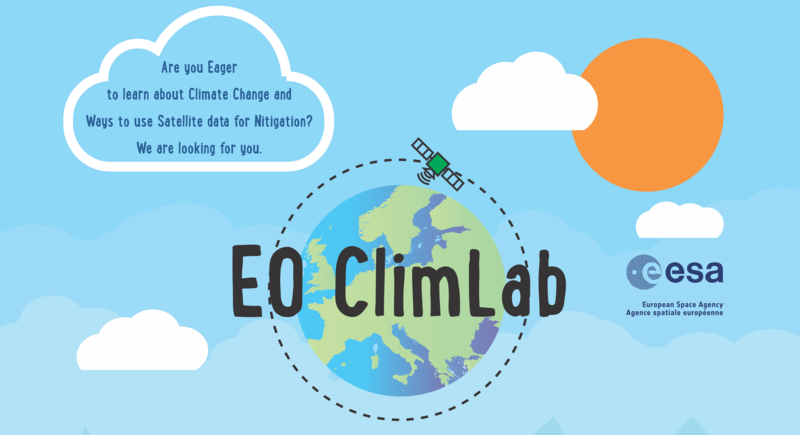 EO ClimLab can be seen as a “Fablab” environment that provides developers with the data, tools and knowledge needed to develop new products and services to strengthen communities in the face of climate change. Financial support for ideas and teams in the front. EO ClimLab can be operated by various entities (incubators, technology parks, local authorities, universities) that will have access to the EO ClimLab packages described above, including physical and virtual infrastructures and support.